We have been busy in the workshop finalising some new designs, and are pleased to announce they are now available to purchase. This is a variation on our standard 4cm thick chopping boards. We have come to learn that some customers have more to say than we can engrave in a single line of text. 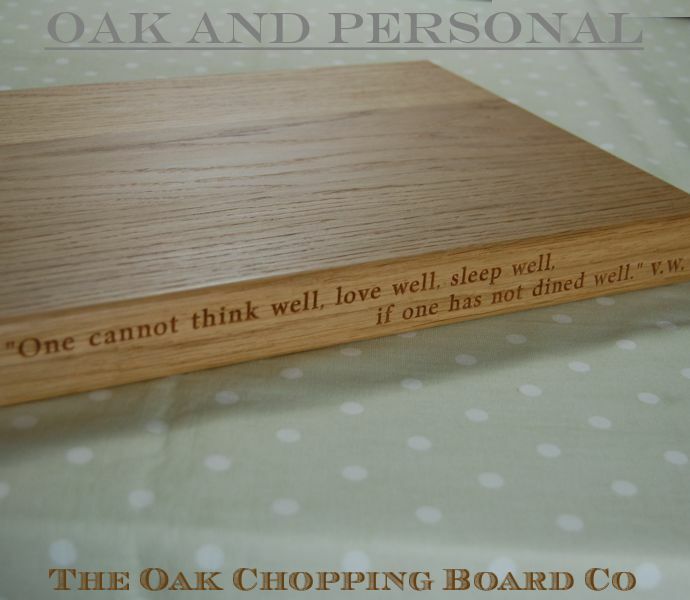 We have therefore introduced the 2-liner chopping board which allows for 2 lines of text to be engraved on up to two edges making it ideal for a verse or two from a poem. It doesn’t have to be a poem; perhaps just a long list of names of loved ones – grandchildren’s names can become lengthy! 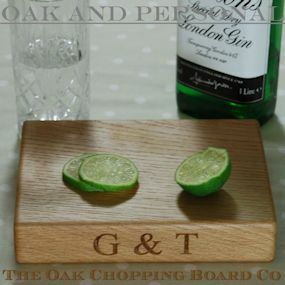 The Gin & Tonic Board is the perfect size for cutting lemons and limes for your favourite tipple. It can be engraved on up to two edges with G&T and/or your own personalised message. We are sure this will be loved by many with gin undergoing somewhat of a renaissance. You can find out more about our new boards by clicking the links in this article or browsing the chopping boards section. We have a couple of other new products available from our sister site – Oak and Personal. As well as the boards shown here you will also find a beautiful bottle coaster and a range of dips and snack bowls. If you have any questions on these or any of our products do not hesitate to contact us. This entry was posted in From The Workshop, News. Bookmark the permalink.